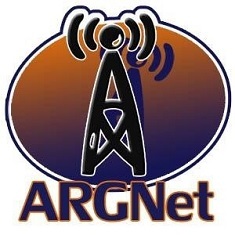 This article is the second in a series, providing summaries of the panel presentations at ARGFest-o-Con 2008 in Boston. The second panel discussion featured Ken Eklund of World Without Oil as moderator, Brian Clark (GMD Studios), Alice Leung (BBN Technologies), and Dave Szulborski. The panel discussed a little of everything, from projects born from passion to penny-pinching PMs and politics. Dave Szulborski noted that independent games are the mainstay of the genre, and kept it alive when marketing executives were questioning its effectiveness. He noted that successful games of any type tend to inspire new developers to try their hand in development. Independent ARGs also encourage developers to innovate in new and surprising ways. As Brian Clark noted, “the riskiest things we do are those we do for ourselves,” and grassroots games are the ideal testing grounds for aspiring developers, as long as the project doesn’t serve as a resume of technical development skills that avoids the critical “fun” factor necessary for independent and serious games alike. One of the main challenges facing alternate reality games is the perception of a hoax. Brian Clark notes that some hoaxes such as the Man-Eating Chicken circus sideshow can be healthy in moderation. However, a serious question needs to be raised: if we embrace the ability of games to effect positive change, isn’t it necessary to embrace the corollary – that games are capable of manipulating players? Clark noted that in many ways, MoveOn.org (and many other political organizations) are alternate reality games. They have their own narrative that they control, manipulate, and drive. They even have the occasional mailing and live event. ARGs have the potential to educate players in critical skills such as relationship building and trend spotting that have to be experienced over extended periods of time. The goals of these types of games can be myriad. For instance, Szulborski mentioned he entered discussions with a university regarding the development of a 3-year long alternate reality game for its undergraduate students, with the goal of fostering a sense of unity and community that extends beyond team spirit at sports events. As Alice Leung explained, however, the inverse pyramid model of player interaction provides a challenge to serious game designers. While learning how to leverage shared awareness may be integral, the game must still attempt to reach the less-engaged players so that everyone internalizes the intended lessons. Alternate reality games may not be the best mechanism for teaching facts, even though information retention can be enhanced when transplanted into the gaming context. However, alternate reality games are eminently successful at giving facts both meaning and context. World Without Oil addressed a real-world issue, and crowd-sourced the game’s creation to process information regarding the ongoing oil crisis into a digestible form. Further, the team released lesson plans to high school teachers in order to facilitate the game’s distillation to students. BBN Technologies, on the other hand, develops highly regimented simulations for the military on long-term projects. The challenge of alternate reality games, especially independent and serious ARGs, is to create an experience without telling the players they have to do something. And while the desired results may differ from game to game, that impetus remains the same: a sense of “fun”. Check back over the next few weeks for the video of this panel when it is released.